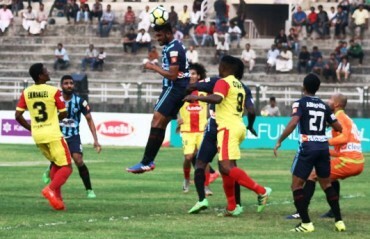 Minerva Punjab FC fans witnessed a nail-biting finish as the home side snatched a draw from a near-definite loss, scoring an equalizer in the final minute of the game. 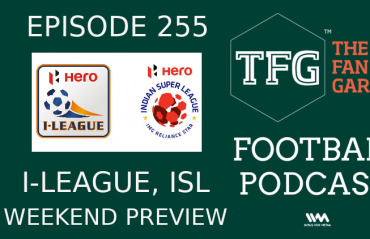 While it were the visitors Gokulam Kerala FC who drew first blood in the 82nd minute through Debutant Marcus Joseph, a 10-man Minerva Punjab FC scraped in a beautiful equalizer in the final minute of the additional time through Musa Caicedo (90’ + 4’) to share the spoils. 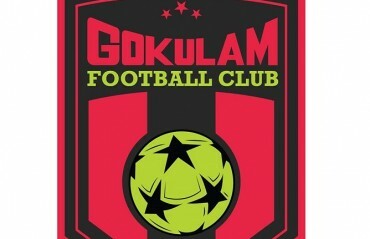 Gokulam’s Marcus Joseph was adjudged the Hero of the Match. 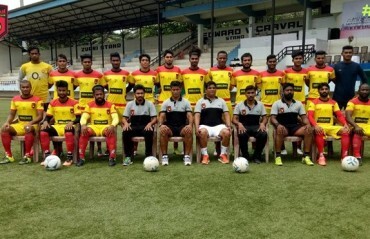 The first half began with Minerva Punjab FC in their traditional Blue Stripes, while Gokulam Kerala FC in Maroon and Orange. Both the teams made four changes in the playing XI. 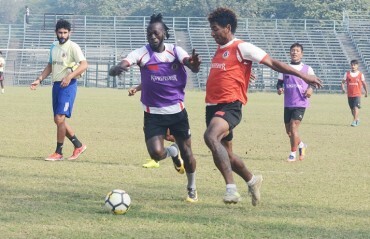 Arshdeep Singh was back guarding the posts Midfielder Sourav Rautella, Defender Akashdeep Singh and Cote D’Ivoirian forward Kouame Konan Zacharie found a place in the playing XI for Minerva Punjab FC. 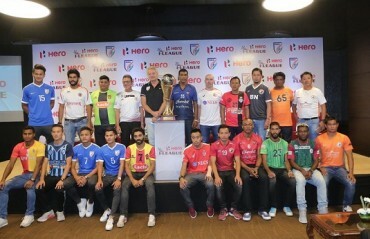 The visitors made their intent very clear from the first minute and would have nearly got a breakthrough in the 2nd minute through an outstanding header from Pritam Singh off an Abhishek Das cross, finding the back of the net, but was disallowed by the referee giving a fresh lease of life to the Minerva Punjab FC. 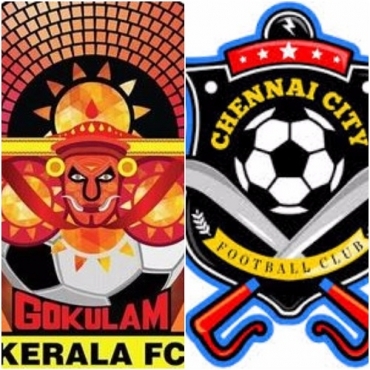 The game, thereafter, saw the visitors making continuous attacks but the defending champions had organized them to deny Gokulam any clear chance to create troubles. 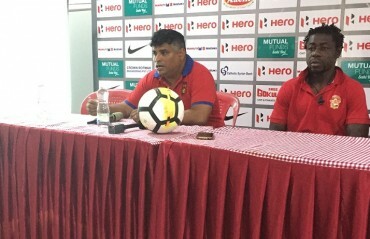 Minerva’s woes took a new turn when in the 20th minute there forward Zacharie was asked to march off the field owing to a red card that was a result of an unnecessary foul committed on the Gokulam keeper Arnab Das inside the box. 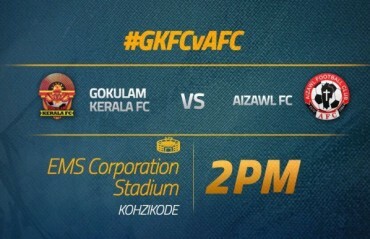 Gokulam Kerala FC who enjoyed a higher possession in the game but neither of the teams could any further chances to draw first blood. 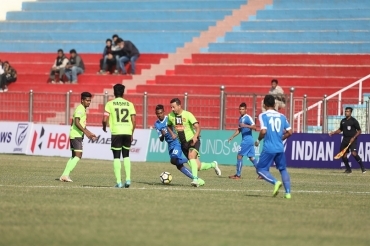 Minerva Punjab FC who were playing with 10 men on the field showcased a lot of composure denying the visitors any chances to change the goalless first half to their favour. 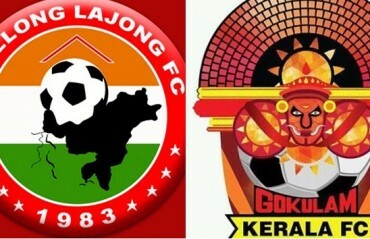 The second half began with Gokulam Kerala pressing hard for a lead against a 10-Men Minerva Punjab FC. Minerva, on the other hand, ensured a strong defence line denying the visitors any clear chance to take the lead. 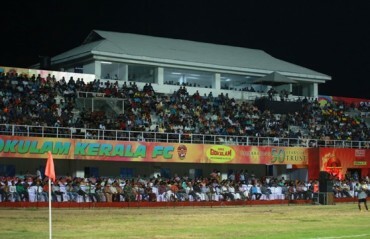 Gokulam Kerala FC, thereafter, went on an attacking spree but full marks to Minerva Punjab FC defenders who did not allow the visitors the insurance goal as they would have desired for. 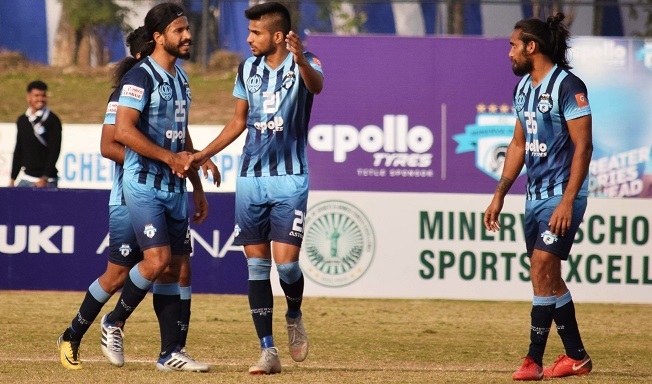 Minerva Punjab FC who were on the verge of a seventh consecutive loss now did not stop trying and their valiant efforts found results when Souvik das crafted a well-thought pass to Moinuddin inside the box who further headed it to Caicedo. Caicedo made no mistake in heading the ball inside the goal bringing in a magical equalizer for Minerva Punjab FC during the final minute of the additional time as both the teams ended up sharing the spoils.